CS-BF-04 tour from Busan Cruise Terminal. 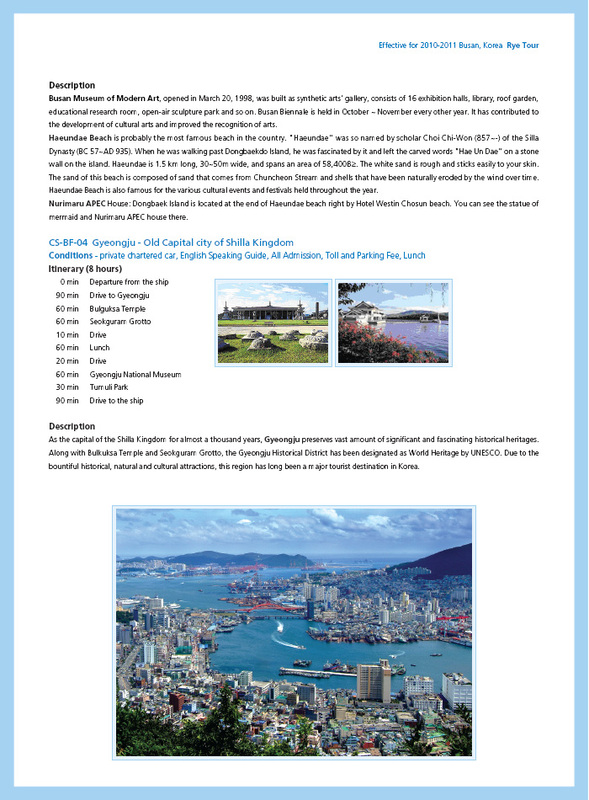 My mother and aunt are visiting Busan as part of a cruise on 16 April on Diamond Princess. The ship arrives at 07.00 and leaves at 16.00hrs. 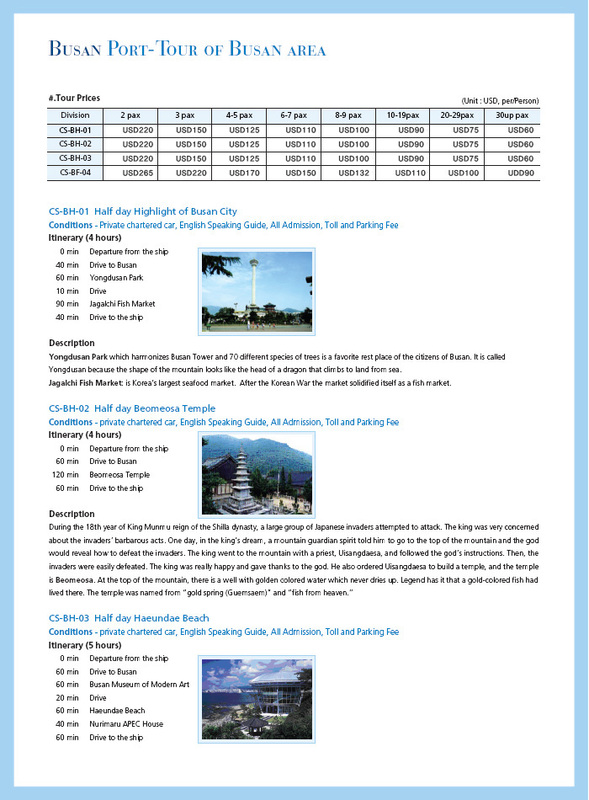 They are interested in doing the above tour ref to see Bulguksa Temple and wondered firstly in the time they are in port if this is possible and also how much it would be in either US$ or GBP£. If you could email me and let me know it would be much appreciated.